This entry was posted on October 29, 2012 by Shannon @ Eyemasq. It was filed under Marbling, Nails and was tagged with Black and Silver Manicure, black and silver nail marble, Black and Silver water marble, How To: Nail Marbling, Liquid Vinyl Nail Polish, manicures for short nails, Nail Marbling, Nail Marbling Design, nail marbling for short nails, nail marbling instructions, Nail Marbling Tutorial, Orly Nail Polish, Paper Mache Nail Polish, Platinum Nail Polish by Mary Kay, water nail marbling. You posted the exact same blog and procedure on four or five seperate occasions. I think we get the point. *yawn* your blogs are boring. I’m starting to regret my subscription. You need new material honey. It’s just so repetitive…nothing new. Hi Kyla, sorry to hear you find my blog boring. I have new followers and visitors all the time and I certainly don’t expect them to comb through all of my posts and review content that is months old. So if some people see something they’ve seen already, they can take 2 seconds and scroll past, I don’t believe that hurts anyone. As for you regretting your subscription…you aren’t actually a subscriber. So that would make it seem like you simply type in my blog address anytime you feel like coming and running someone down…impressive use of your time. Really? You think it’s OK to say that to someone? Who are you? You’re weird. 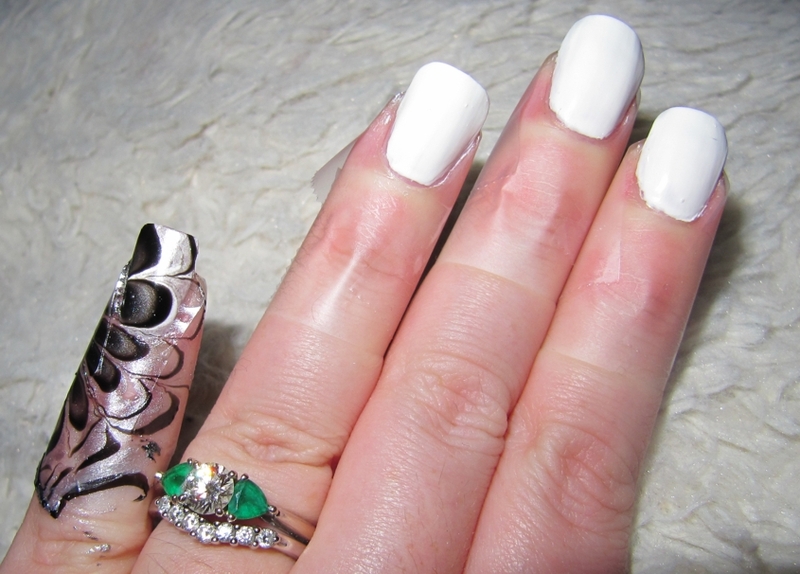 wow, nice tutorial, I never had marble nails…but for sure I’ll try them! I love how this one turned out! Pretty! Thanks Marisa! It is actually super fun. 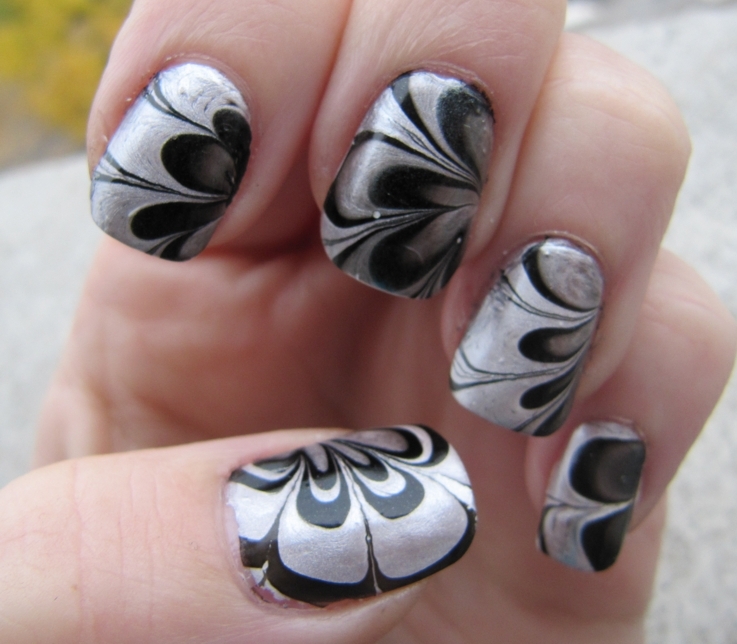 Have you tried nail marbling before? No I’m very challenged when it comes to nails. I can’t even get my home manicures to look nice but I LOVE having polished nails so I do it anyway. I just apply and let all the polish sticking to my skin flake off like it does in 24 hours. I went years and years never wearing polish on my hands, only ever on my toes. But there are so many fun ways to fancy up your nails nowadays and express yourself, I couldn’t resist and started trying new manicures. Now my nails are almost always painted. Like you, I LOVE having them painted. They are just fun to look at and I just feel happier when my nails are looking cute. 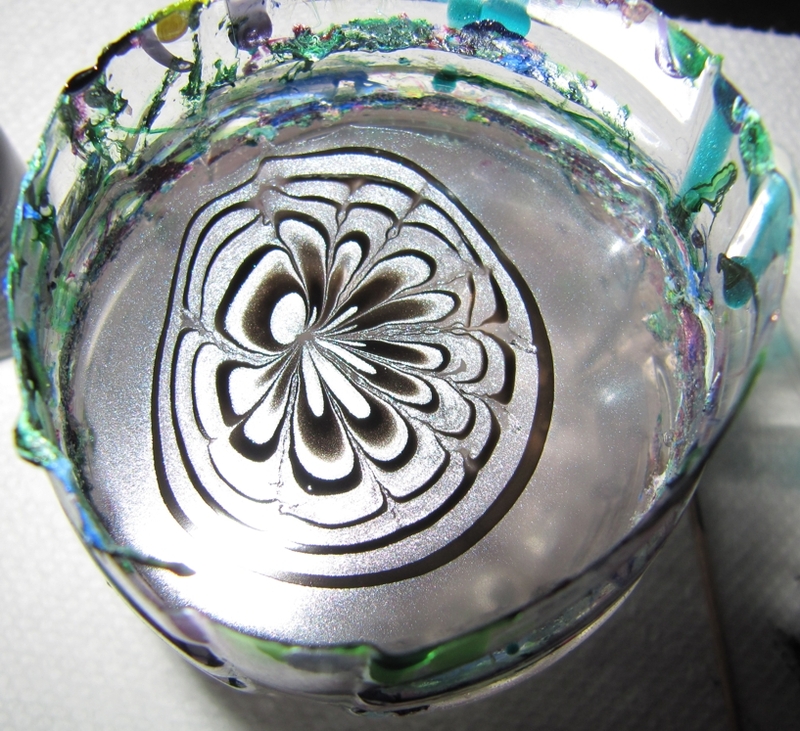 Practice makes perfect though, marbling was tricky the first couple of times. But half the battle is finding polishes that work well in the water. It is pretty easy when you get the hang of it though. Jelly sandwiches are still my favourite manicures though I think. They are really fast and easy to do and you end up with nails slightly fancier than just solid colours. 🙂 Have you tried them before? By the way – NOT BORING! Love what I see so far and you have a fun community spirit. No I haven’t. Never anything beyond a basic polish job. I’m sure when you start branching out, you will go banana’s! I bet you will surprise yourself too! Most manicures are much easier than they look. Thanks my dear! Kind of you to say. 🙂 I was happy with how they turned out too. Have you marbled your nails before? I love how you actually went through all your subscribers to check lol. You need your little internet friends to defendyou. Really? It’s the internet, you chose to share your life with the world than be prepared for what they throw at you. Also, you clearly missed my point about youblogging the same things over and over again. People who subscribe to you see all posts you make (which is almost on a daily basis) and eventually boredom will set in. 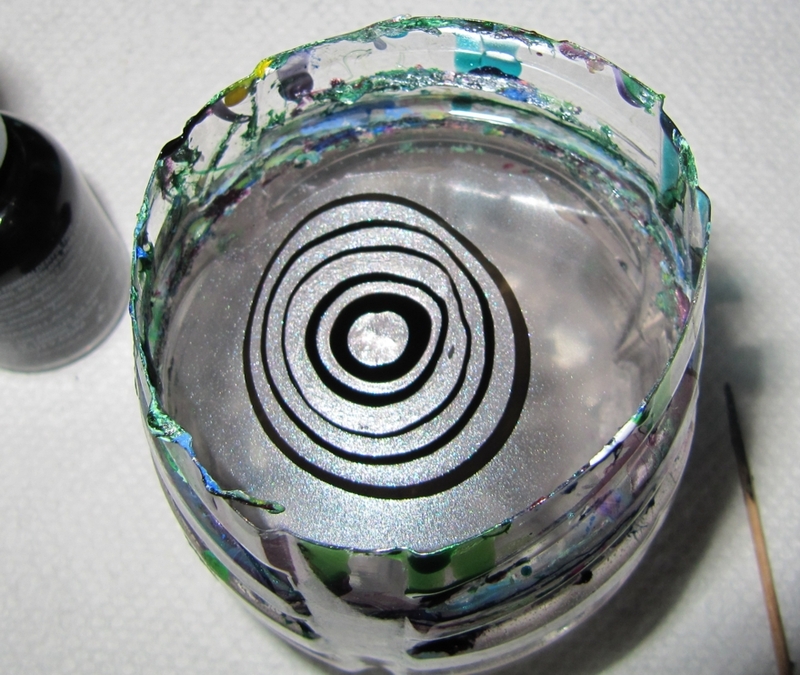 Ohh another nail marble…like you teach the exact same technique over and over and over again. Spice it up abit. Sweet of you to say – thanks! I thought this one turned out pretty good. They don’t always! lol I tried to keep a consistent pattern on each nail throughout and was pretty happy with the finished look. 🙂 The black and silver was also a nice break from the bright, bold colours I normally pick. So JEALOUS u can make this work 🙂 I end up with a big ole mess with polish all the way up my fingers even after ive used tape, lotion and other stuff. Oh well, still fun to do 🙂 Great Job! You’re welcome! You will have to let me know how you make out. 🙂 Good Luck! Great combination Shannon! The pattern is a beauty. I have tried nail marbling before but I’ve never bothered about getting a uniform pattern done, so I usually end up with a mix of colours on all sorts of patterns. My fave combinations are different shades of blue, maybe because I own so many blue clothes! I’ve also done a black and gold combo which turned out great. These look amazing!!!!!!! I’ve tried marble nails before but they never came out the same. Thanks hunn! I’m really glad you like them. 🙂 And thanks for the nomination – sweet of you to think of me! You will have to let me know how you make out. 🙂 It is really quite easy. It might just take a bit of experimenting around with your water temperature and different polishes. But once you find something that works for you, it will be a breeze. Good luck and thanks for commenting!! cool thanks for sharing this! i am so excited to try it! So glad you like it, nail marbling can be a lot of fun!! Have you tried it before? ?